“A Nissan dealer in Spain just sold a car over Twitter — a first for an automotive brand in Europe, Nissan said this week. 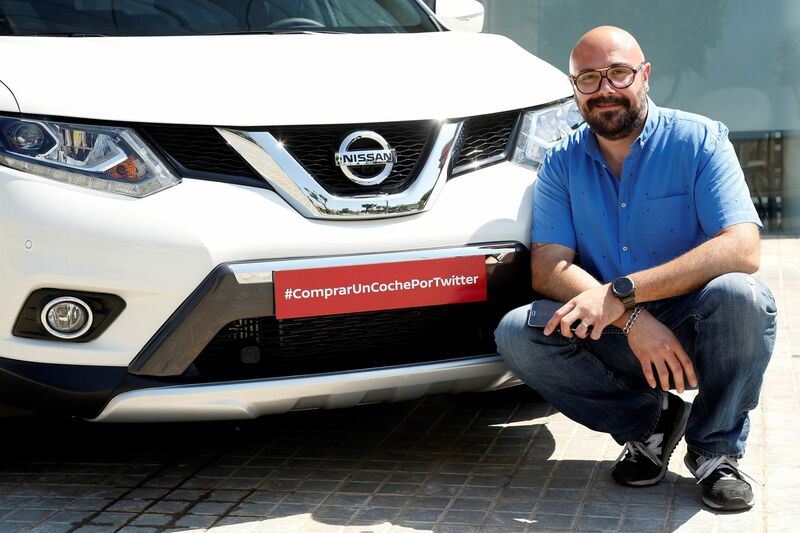 Twitter user Raul Escolano used the hashtag #compraruncocheportwitter (“Buy a car on Twitter”) to challenge automakers across Spain to sell him a car solely using social networks. Antamotor, a Nissan dealer in the Spanish city of A Coruña, used Periscope to stream video of the Nissan X-Trail, giving @escolano a personalized walkthrough of the car. He also posted a poll on Twitter asking followers to rate the cars he was considering. The X-Trail received 43 percent of the vote, which Nissan says helped “seal the deal.” The keys to the car were delivered to Mr. Escolano by courier, keeping the dealer at arm’s length”. Just wow. Could twitter become the new shopping channel. Perhaps with flash deals?